16 October 2017. The Casino Association of South Africa (“CASA”) recently released its 12th annual survey of the state of the South African commercial casino industry, detailing how the industry continues to be an important employer in the South African economy, despite a decrease in revenue. 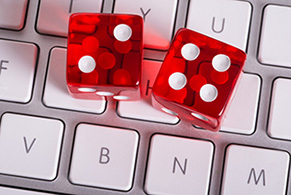 Previous editions of the survey have highlighted the threat of illegal gambling activities and last year’s figures (year ended March 2017) show that the plague of illegal operators should not be taken lightly. The legal casino industry saw a 1,8% decrease in revenue, attributable to a general downturn in the economy as well as an erosion of revenue due to illegal operations. This marks the first year that the industry has shown negative growth since the inception of the South African gambling industry under the democratic dispensation in 1997. In spite of this contraction, CASA members – made up of 36 of the 38 legal and operational casinos in South Africa – supported over 64 000 quality jobs in the economy. Of the R16,5 billion in value generated by CASA members in the period under review, casino and related services employees received 21% or R3,5 billion. This makes employees one of the largest recipients of value generated by the casino industry, taking home even more than the providers of capital. CASA’s survey shows that of the 64 000 people working in the sector, 10 649 were directly employed in casino operations while a further 5 513 were employed for outsourced services such as security and cleaning services for casino operations only. Non-casino operations, such as hotels, convention centres, restaurants and theatres, accounted for the balance. Cultivating the principles of Broad-Based Black Economic Empowerment and gender equality remained high on the list of priorities for CASA members during the year ended March 2017. Based on the Tourism Sector Code, 36% of CASA’s 36 members are rated Level 1 B-BBEE, up from 25% in the previous period, while 31% are rated at Level 2, also an improvement from the year ended March 2016. Furthermore, the two biggest casino operators in South Africa, Sun International and Tsogo Sun, were recently announced to be within the top three Most Empowered Companies listed on the Johannesburg Stock Exchange in the Empowerdex’s 2017 Most Empowered Company Survey.